I hope everyone had a wonderful Easter. Ours was exhausting because it involved a lot of getting up early to drive, but other than being tired we had a wonderful time visiting our children and old friends in Milwaukee. No matter how old my kids get I still give them little goodie bags for all the major holidays. This Easter was no exception. I usually always make them a holiday card too, but this year since I was putting their treats in gift bags instead of an Easter basket, I decided to make Easter Tags instead. The Easter Critters are pre-purchased felt die cuts I picked up at an arts and crafts store. All I did was cut a tag and a white scalloped border. Then I added an eyelet to thread a piece of ribbon through, and stamped a sentiment on a banner die. A couple of candy-dots were added for embellishment, and wa-la...my tag is done. 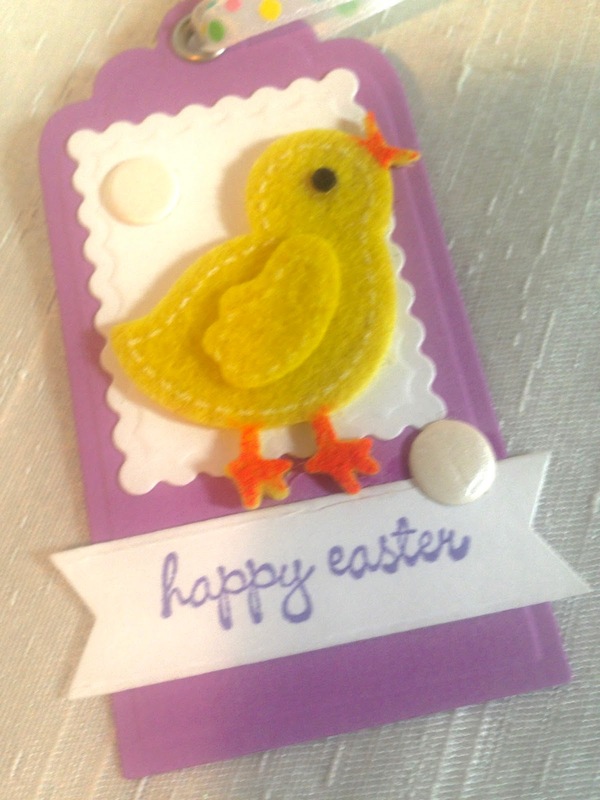 It was much easier and quicker to make than a card and twice as cute! 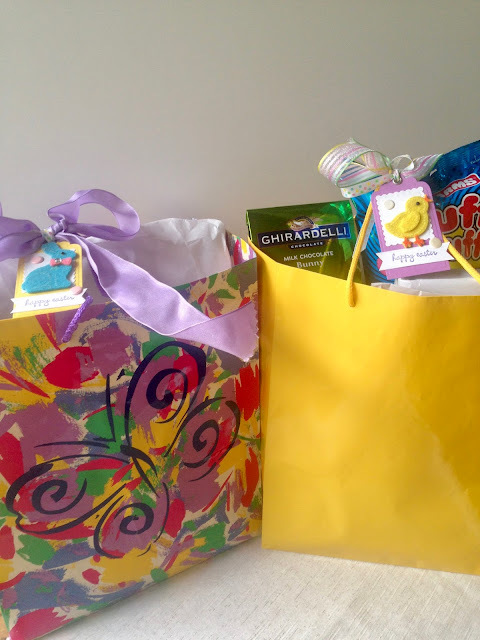 I then picked out a coordinating gift bag from my stash and added a pretty lavender bow and my Easter presents were complete. The same steps were used to make my chick tag. 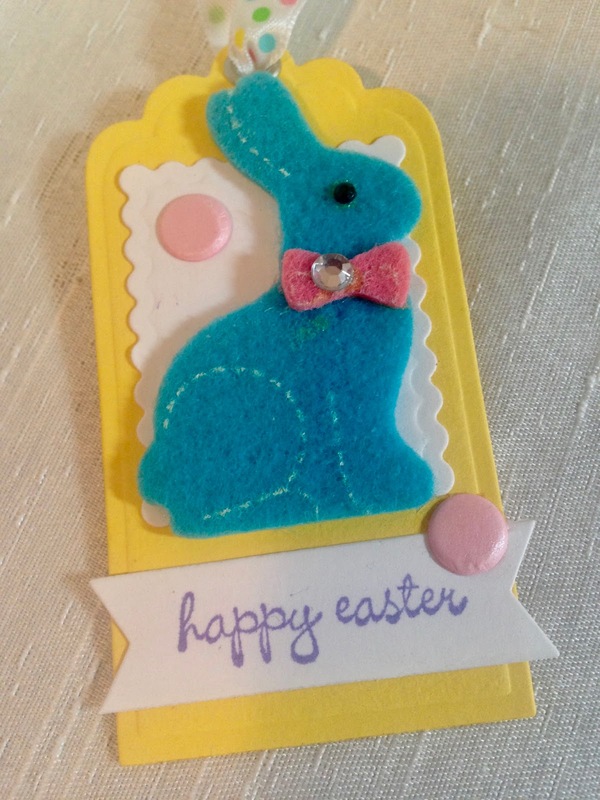 If you're not into stamping and coloring these cute felt critters are so fun and easy to use if you want to add a handmade touch to your gift. You can find them in the seasonal or children's crafts section of any craft store. I know I'm the only blogger who posts holiday how-to's after the holiday, but I don't want the recipients to see their gift before they get them. My family does read my blog! So if you like this idea, just Pin and save for next year! 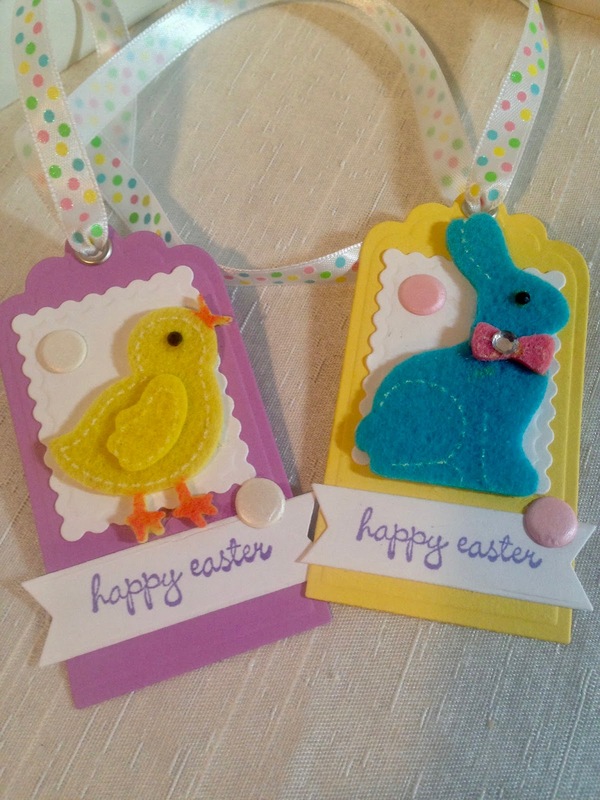 What a great idea to use felt cutouts as the focal point, they turned out so cute and are definitely a time saver! Thanks Elli! I love working with felt; it instantly adds so much character. Thanks Carrie. I had an Etsy shop but I found it too tiresome. Then my printer hasn't been functioning right to print mailing labels, so that was the end of that. You put me to shame. I bought Easter Bunnies and that was that! I love the colourful butterfly bag, BTW. LOL! 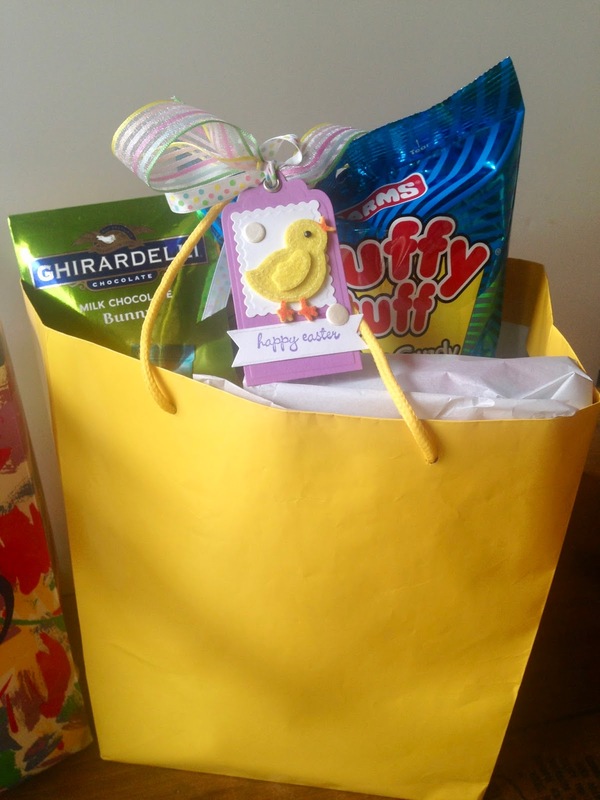 I have a hard time resisting all the cute Easter goodies. I don't eat them myself (although I would LOVE to) so I enjoy giving them to someone else.